4 hour Lagoon boat ride. Tropical wetland wildlife: manatees, crocodiles, fish & birds. Beautiful secluded beaches. Boca Paila and mangrove forest. Swim and snorkel in a refreshing cenote. 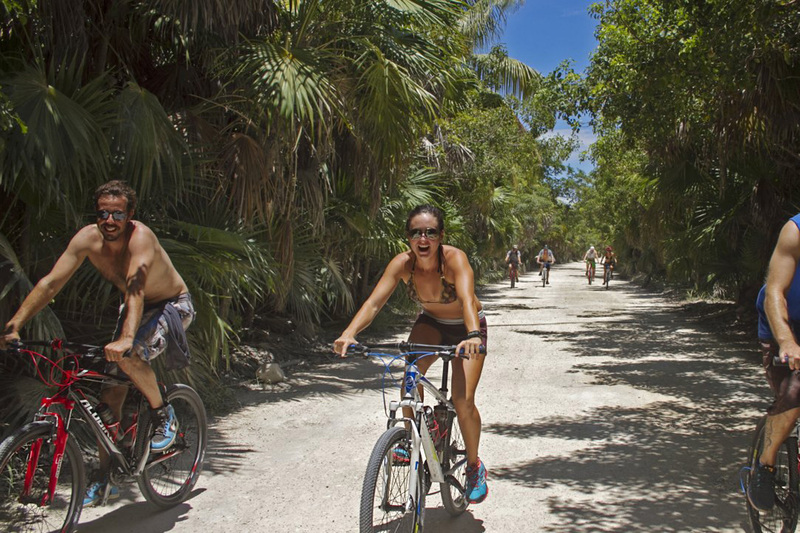 Ride the palm lined road between the ocean and lagoons and enjoy a homemade lunch on the beach. Shared expeditions run Tuesdays and Fridays (min 4 people). Private expeditions run every day. Please indicate your preferred language when inquiring. Note: private expedition price per person decreases for larger groups.